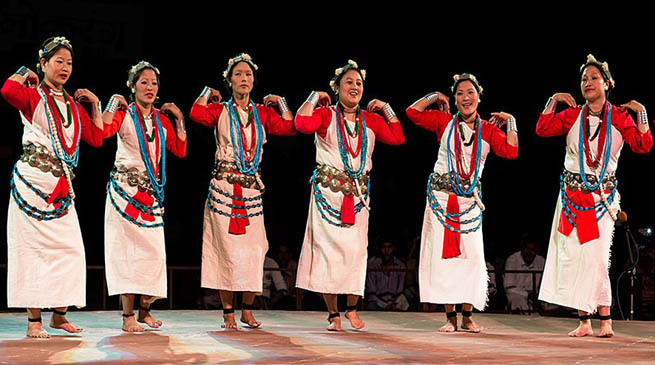 Festivals play an important role in promoting the cultural legacy of indigenous communities, besides fostering a spirit of unity among the people in the northeast. Dressed in colorful attires, men and women gathered in Itanagar recently to celebrate the fourth foundation day of ‘Changtum Butte’, which means the Creator. The event was organized by the Changtum Budde Charitable Society with an aim to preserve their culture and identity. The cultural troupe from different tribes including Apatani and Galo performed their traditional dances. In Assam’s Guwahati city an urban winter festival with the theme of ‘Aqua Kingdom’ Metropolis 2016 was held in a vibrant and fun-filled environment. The three-day-long extravaganza was organized by Assam Tourism and State Level Advisory Committee. An art and photography exhibition showcasing the works of various artists of the locals also attracted many of the visitors. Tattoo artists also demonstrated live tattoo-making during the event. Acoustics Competition, Water Show and a Fashion Show were other attractions at the festival. Such festivals not only help preserve the rich cultural heritage of the northeast, but also promote tourism and unite the youth.